The Woodlands, Texas – On Tuesday, August 8, leaders from The Cynthia Woods Mitchell Pavilion officially opened the beautiful new Woodforest Bank Club, a nearly 15,000 square foot facility reserved for The Pavilion’s season ticket and box seat holders during the concert and performing arts season. Late last year, The Pavilion Board of Directors unanimously approved the major construction project to replace the original Club facility. 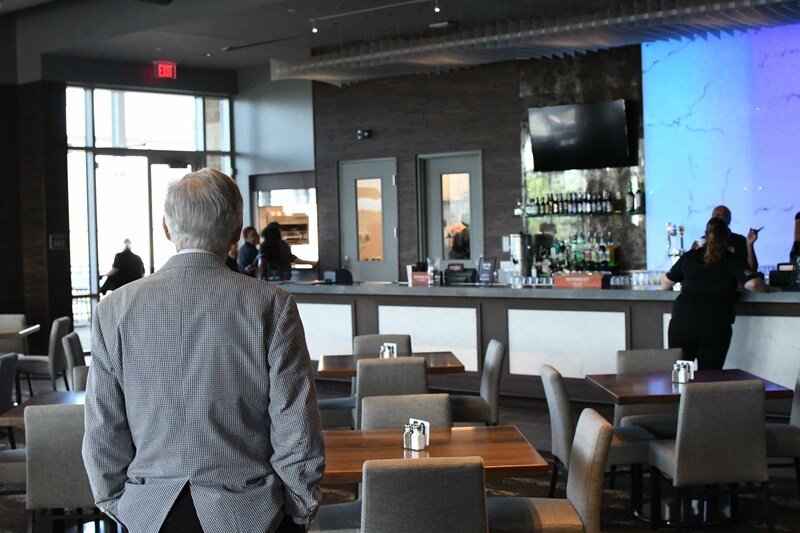 The new building, which is now open for the remaining season, boasts two floors of expansive seating, three new bars, a catering kitchen and expanded restrooms. 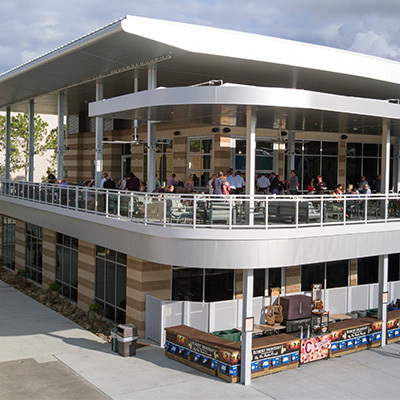 The relaxed outdoor patio upstairs offers a 260-degree view of the North Plaza and is perfect for soaking up the concert atmosphere with The Pavilion’s peaks and hill as the backdrop. 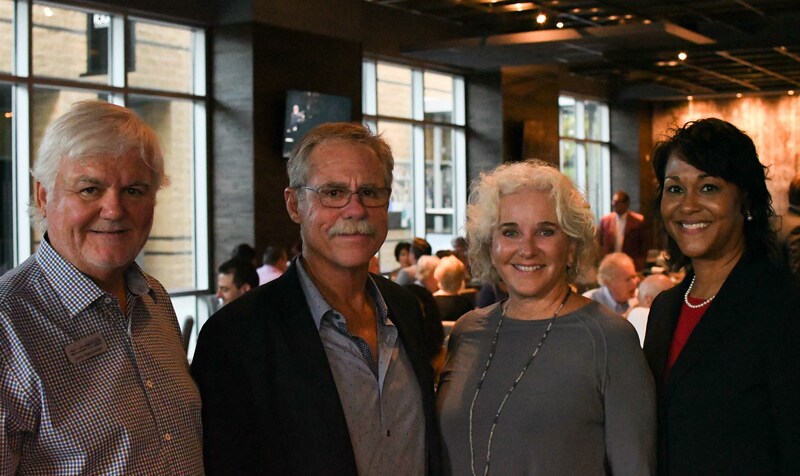 Guests who attended the grand opening were offered complimentary menu sampling and all proceeds from the cash bar benefitted The Pavilion’s fine arts scholarship program. During the event, guests were able to tour the Club which offers a unique snapshot of The Pavilion’s history. The memorabilia wall showcases photographs, signed guitars and concert posters of various artists who have performed on The Pavilion Main Stage since its inception in 1990. All photos were captured by The Pavilion’s resident photographer, Ted Washington. As guests entered the new facility, they were treated to the beautiful orchestral sounds of a local string trio made up of Katie Osani, violinist; Alex O’Steen, violinist; and Amy Sanders; celloist. The trio formed several years ago during one of The Pavilion’s educational outreach programs, Chamberfest. The Woodforest Bank Club is a year-round facility, so use is not limited to The Pavilion’s season. Even though the Club is not available for rental during Pavilion performances, it is available for group meetings or private functions every other day of the year. The Woodforest Bank Club will be available for private functions, based on availability. Those who are interested in enjoying the benefits of being a season ticket or box seat holder including access to the Club, on-site parking and dedicated customer service can contact JD Villaseñor at 281-210-1121.